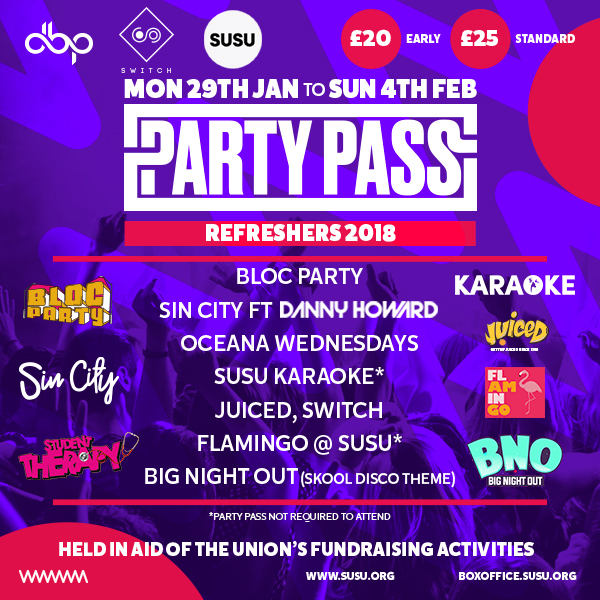 We hope you enjoyed Monday’s Bloc Party. 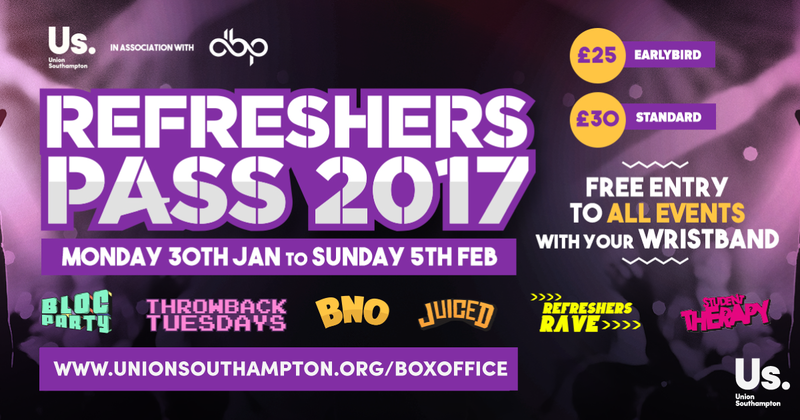 Refreshers’ has been quite a ride already, but we hope you have some juice left ready for tonight’s Big Night Out. 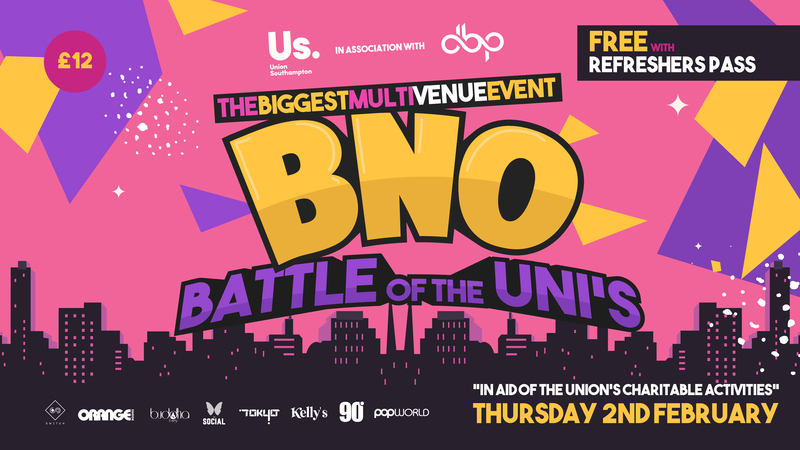 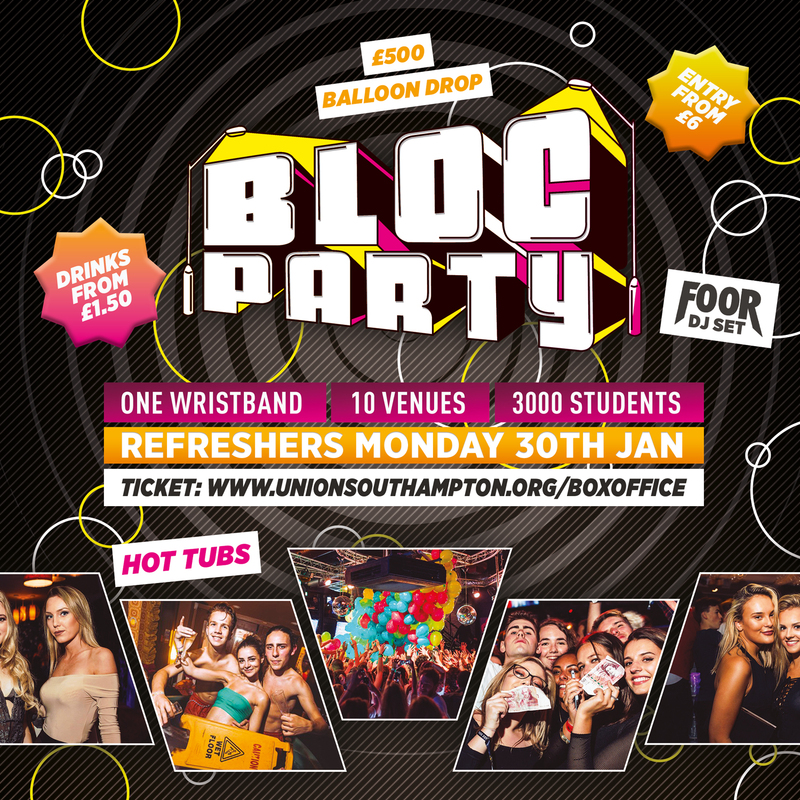 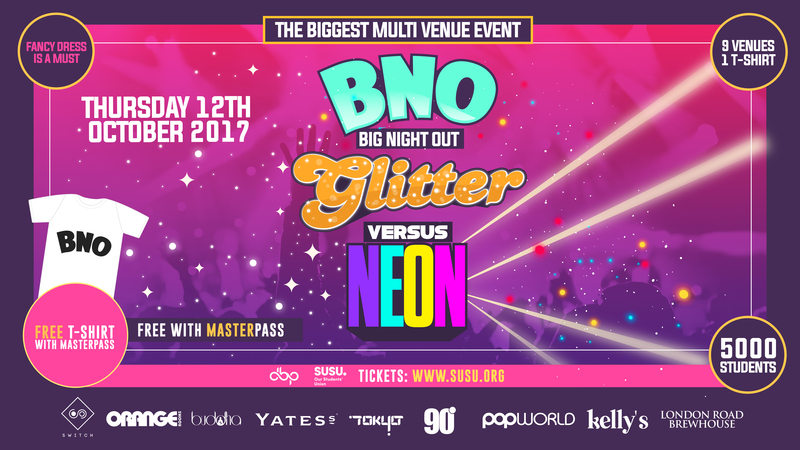 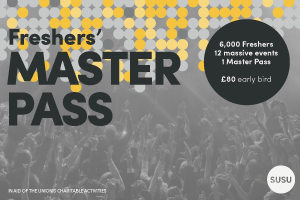 Join us on the ultimate venue crawl across Southampton’s best bars and clubs with thousands of other students. 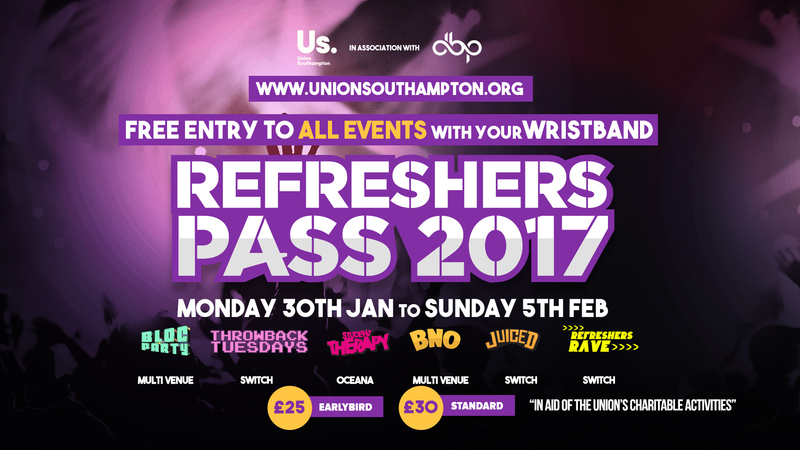 You can get your hands on tickets from our Box Office at www.unionsouthampton.org/boxoffice or in person at our Union Reception.